Our voyage, after the homestay, begins on the French Riviera, only minutes from rolling hills and beaches. 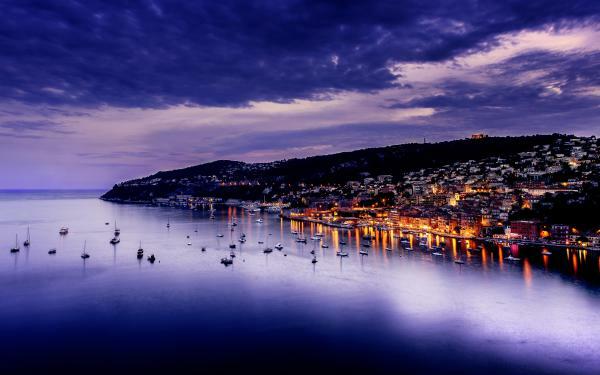 From our seaside base in Nice, we visit St. Paul de Vence, the famous Maeght Foundation, Monaco and Eze. We continue morning language classes here, with emphasis on vocabulary and current topics. We also read a French play which we will later see in Paris. The term French Riviera is typical of English use. It was built by analogy with the term Italian Riviera, which extends east of the French Riviera (from Ventimiglia to La Spezia). 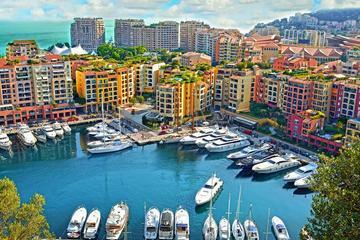 As early as the 19th century, the British referred to the region as the Riviera or the French Riviera, usually referring to the eastern part of the coast, between Monaco and the Italian border. Originally, Riviera is an Italian common name which means "coastline". 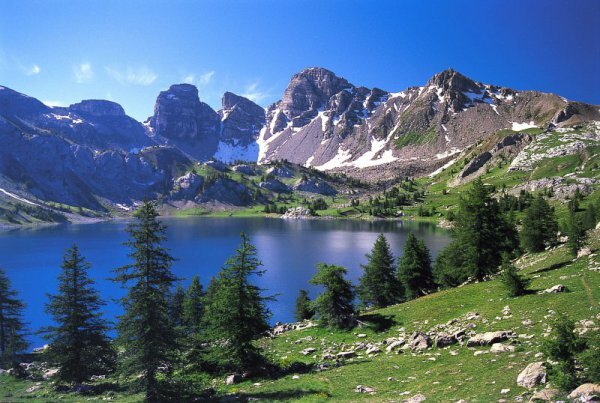 The Côte d'Azur has been inhabited since prehistoric times. Primitive tools dating to between 1 million and 1.050 million years were discovered in the Grotto du Vallonnet, near Roquebrune-Cap-Martin, with stones and bones of animals, including bovines, rhinoceros, and bison. At Terra Amata (400,000 BC), near the Nice Port, a fireplace was discovered that is one of the oldest found in Europe. Stone dolmens, monuments from the Bronze Age, can be found near Draguignan, while the Valley of Marvels (Vallée des Merveilles) near Mount Bégo, at 2,000 m (6,600 ft) elevation, is presumed to have been an outdoor religious sanctuary, having over 40,000 drawings of people and animals, dated to about 2000 B.C. Beginning in the 7th century BC, Greek sailors from Asia Minor began to visit and then build trading posts (emporia) along the Côte d'Azur. Emporia were started at Olbia (Saint-Pierre-de-l'Almanarre, near Hyères); Antipolis (Antibes) and Níkiai (Nice). 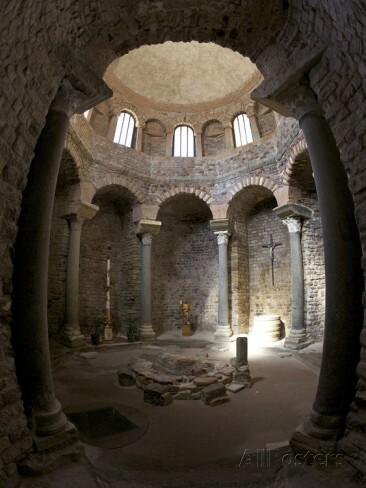 These settlements, which traded with the inhabitants of the interior, became rivals of the Etruscans and Phoenicians, who also visited the Côte d'Azur. In 8 BC the Emperor Augustus built an imposing trophy monument at La Turbie (the Trophy of the Alps or Trophy of Augustus) to mark the pacification of the region. 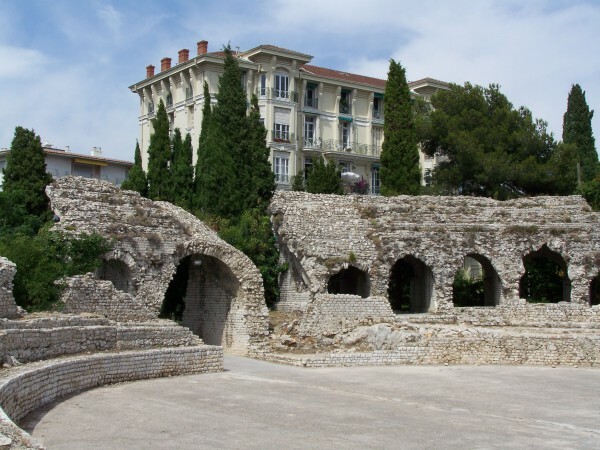 Roman towns, monuments and amphitheater were built along the Côte d'Azur and many still survive, such as the amphitheater and baths at Cimiez, above Nice, and the amphitheater, Roman walls and other remains at Frajus. Roman Provence reached the height of its power and prosperity during the 2nd and 3rd centuries AD. In the mid-3rd century, Germanic peoples began to invade the region, and Roman power weakened. The fall of the Western Roman Empire in the first half of the 5th century was followed by invasions of Provence by the Visigoths, the Burgundians and the Ostrogoths. There was then a long period of wars and dynastic quarrels, which in turn led to further invasions by the Saracens and the Normans in the 9th century. Until the end of the 18th century, the area later known as the Côte d'Azur was a remote and impoverished region, known mostly for fishing, olive groves and the production of flowers for perfume (manufactured in Grasse). A new phase began when the coast became a fashionable health resort for the British upper class in the late 18th century. 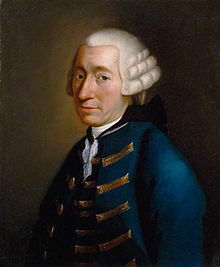 The first British traveler to describe its benefits was the novelist Tobias Smollett, who visited Nice in 1763 when it was still an Italian city within the Kingdom of Sardinia. Smollett brought Nice and its warm winter climate to the attention of the British aristocracy with Travels through France and Italy, written in 1765. At about the same time, a Scottish doctor, John Brown, became famous for prescribing what he called climatotherapy, a change in climate, to cure a variety of diseases including tuberculosis, known then as consumption. The French historian Paul Gonnet wrote that, as a result, Nice was filled with "a colony of pale and listless English women and listless sons of nobility near death". In 1834, a British nobleman and politician named Henry Peter Brougham, First Baron Brougham and Vaux, who had played an important part in the abolition of the slave trade, traveled with an unwell sister to the south of France, intending to go to Italy. A cholera epidemic in Italy forced him to stop at Cannes, where he enjoyed the climate and scenery so much that he bought land and built a villa. He began to spend his winters there and, owing to his fame, others followed: Cannes soon had a small British enclave. Robert Louis Stevenson was a later British visitor who came for his health. In 1882 he rented a villa called La Solitude at Hyères, where he wrote much of A Child's Garden of Verses. Today The French Riviera plays host to millions of visiting tourists as well as celebrities, royalty, gamblers, and sun worshipers who come to enjoy the natural beauty and nearly perfect weather conditions. The entire Riviera looks out onto the deep blue waters of the Mediterranean Sea with spectacular cliff-side vistas, sandy beaches, caves and hidden coves. Afterward, we travel north to the Loire Valley, the former haunt and hunting ground of royalty. From our base in the richly historic city of Amboise, our days and nights include biking along the river or boating at Chenonceau, learning about wine production, and tasting the local specialties. 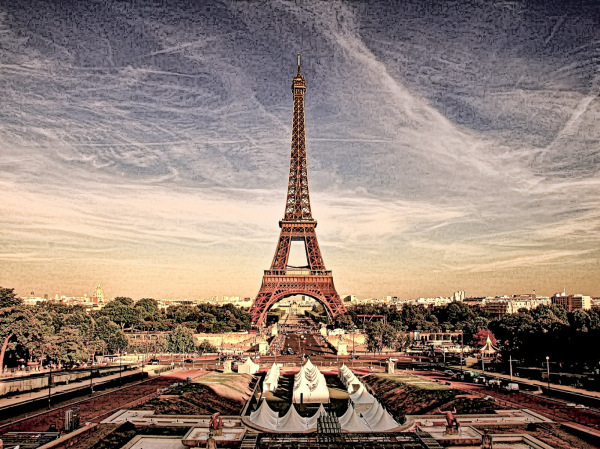 Paris, the "City of Light," has been saved for the last. Our students' new-found familiarity with France and its language enables them to appreciate more of what the city and its region have to offer - the Musée d'Orsay, the Eiffel Tower, the treasures of the Louvre, les grandes surfaces; a cruise down the Seine, perhaps a climb into the sewers. And the food! - from interesting left bank spots to more formal purveyors of French cuisine.